2 of my colleagues are sick and off from work with same symptoms today. Coughing, running nose, sore throat, headache & exhaustion. Coincidentally, they are not alone. There is a big spike in such cases during the summer to winter transition. The problem is referred to as common cold or viral flu in general. The influenza virus which is responsible for this, is conducive to cold and dry weather. It is able to survive for longer and thus spreads quickly. Moreover, it can multiply / replicate faster as well. There are generally 3 types A, B and C where in A and B are severe, contagious and exhibit both respiratory symptoms (cough, running nose) and also constitutional symptoms (body ache, exhaustion, headache). C type is less severe and only exhibit respiratory symptoms. So now once a single cell of this virus gets into our body lets say by respiratory tract, it kind of sticks to our cells (Hemagglutinin) and penetrate inside on its way to the nucleus of the cell. It then takes control of the cell there after. The virus replicates itself thanks to its RNA and cell produces viral proteins and its copies. This basically creates the feeling of inflammation when the content leaks out of cell. The influenza virus keeps on infecting all subsequent cells and turn them into virus manufacturing plant. The body tries to combat initially but the immune system weakens and gives up due to the constant onslaught of the virus. 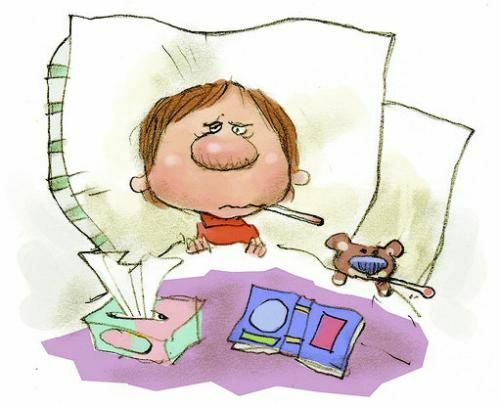 Weak immune system makes us feel lethargic, tired which are constitutional symptoms of the virus. It can turn fatal if a more sophisticated virus finds its way inside the body and take advantage of the weak immune system. Visit a doctor once you start having these symptoms especially during this season.